It never fails… each and every time something life changing happens the two things that tend to cure me are writing and music. This time I’ve added a third…God. My love for writing tends to take a backseat when something else replaces it. One thing that I realize is that the love never goes away. I can think of an entire book in my head but never know how to put it to pen and pad. The ability never leaves. I am sure there are many of us out there who have that one thing that they constantly put off until you “need” it again. I need to write. Someone may need to sing, dance, read, love, talk, sew, work, worship…write. 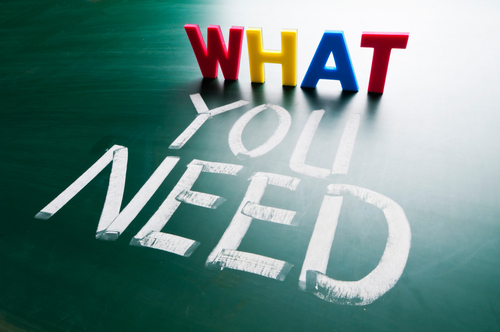 Whatever that “need” may be just DO NOT place it on the shelf and years later you dust it off and realize that you missed that “need” so much. You are supposed to bless someone with that talent! Let’s use the second half of the year to fulfill that desire to move forward with your dream! Take that vision and make it a goal and turn it into a check mark marked COMPLETE! I have missed you guys so much!!! I miss reading my daily blogs and comments. Thank you so very much for those of you who nominated me for the “Blog of the Year” award! I was so humbled because I stopped writing for the second half of the year and you still remembered little ol me! Thank you so very much!! So much has happened and changed! I may not understand a great portion of it but I am glad to be on God’s side! It truly makes life a lot easier. I will definitely share more of my experiences at another time but just wanted to say hello and thank you all! Love ya!